Depending on your personality, you probably fit in one of two categories. 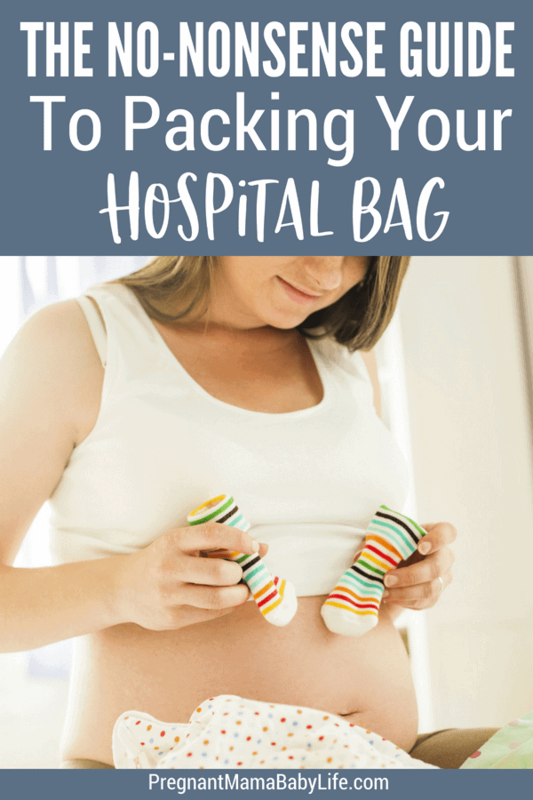 You either have had your pregnancy hospital bag packs for 2 months, anxiously waiting on baby to come…..or…..
You may be more like me, and push it to the very last minute. Packing your bag is going to be based on a lot of personal preferences and situations. Birthing is kind of a big deal, so I feel that the more prepared your bag is, the less stress you’ll deal with when the big birth-day arrives! I also have a handy printable you can get for free by signing up for our pregnancy weekly emails below. Here is a list of the most important things you need to consider when packing your hospital bag before going into labour! You need at least 3 days of comfy clothes. (Hopefully you won’t be there that long!) Keep them simple, loose and comfy. Whatever you do, stay away from clothes like jeans, or really any pants that button, or have a thick seam. You’re going to be sore after birth, and the last thing you want is anything pressing up against any tender spots. Regardless of what type of birth you have planned, you can’t guarantee whats going to happen. If you have a vaginal birth planned, there’s still a small chance you may need a c-section at some point. Although it’s unlikely, you still want to be prepared for it. I brought soft black leggings and 2 loose pajama dresses that I could easily breastfeed in. The leggings are my comfy go-to pants at home, so that added a comforting feeling by day 3 of being in a hospital and ready to go home. I brought a super cute little fox onesie to bring my baby home in, complete with a matching baby beanie. My baby was nearly 10lbs at birth, and as much as I tried to fit my little chunk-a-munk into that newborn onesie, there was just no way. He never fit in a newborn size at all. We detoured straight to the 3mo sizes. This was fine, except my baby came home in a diaper and hospital baby tee. Now I say bring 2 outfits, one in a newborn size and one in 3mo old size. This isn’t a total necessity if you’re giving birth in a hospital, but if you’re going to be at a birthing center, they may not have any baby clothes at all. Another must have item for your hospital bag, is CHARGERS! Bring chargers for your phones, tablets, and laptops. Whatever electronics you plan on bringing. Don’t forget the wall ports too! If you plan on bringing on bringing a backup camera, pack this, along with extra batteries for it too. No matter how great the hospital is, there’s a good chance you won’t like a lot of what they serve. Your body is about to burn a whole lot of calories. You need a good way to refuel, so pack a few high energy snacks for afterward. Just stay away from the junk though. Your body needs real nourishment now more than ever. Also, bring change for vending machines! I don’t know about you guys, but my moisturizer is kinda a big deal. I use coconut oil for nearly everything. After the triumphs of labor, your body is going to be very out of whack. Your skin may become super dry at time, you’ll have weird excessive sweat, along with a variety of other strange things. I even developed a very miserable, very itch postpartum rash for 3 weeks. Bring your favorite moisturizer. For me, that meant a jar of coconut oil. Spring for a new toothbrush and a travel toothpaste. I kept thinking, well I’ll just throw my toothbrush in when I go into labor. Let’s just say once those contractions started, my toothbrush was the last thing on my mind. And no one wants to develop little sweaters on their teeth after 2 days of being in the hospital without a toothbrush. Do yourself a favor and grab a little travel toothbrush kit like this! So just get a new one and have it ready. If you have multiple hairbrushes, stick one in your bag now so you don’t forget later. Also, think deodorant, headbands, ponytails, face wash, shampoo, conditioner, saline solution and contact lens case. (You can get nearly all these in travel sizes, or use ones you’ve snagged from a hotel stay. If you have an extra set of any of these, stick them in your hospital bag now. The last thing you want to do is end up blindly trying to navigate hospital halls, or struggling to read the paperwork you need to sign. For the ride home. Makes for a great breastfeeding cover too if you need one. Bringing a few gallon size zip lock bags can make a big difference. Between the baby and I, there was a lot of leaking. All the dirty clothes could be easily rolled up and sealed into one of the bags, making it easy to wash later, without contaminating anything else in my bag. 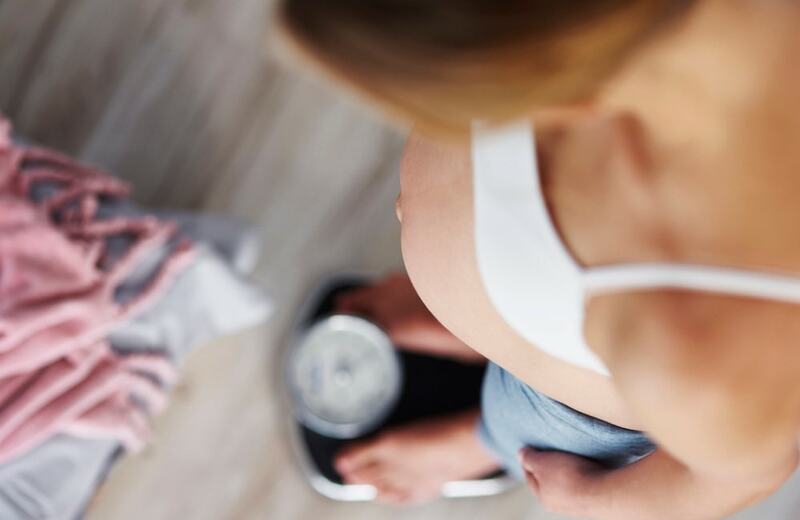 If you’ve been taking your prenatal vitamins and DHA you should bring a small supply of them and keep taking them regularly too. I am such a big advocate of the DHA as it helps your baby’s brain develop, AND can help prevent postpartum depression! I really like this brand, and they are the ones I still take daily and are specially formulated for the postpartum period. Put any paperwork you may need for the hospital in a folder in your bag. Hospital pre-registration confirmation, insurance info, and your birth plan are all good ideas. Also of course, you’ll need you wallet and ID. Of course, there are other nice things that, if they fit and you know they will bring you comfort, why not? Luckily you don’t have to bring everything to the hospital. Hospitals will usually have the following, so no need to bring these items.